When you are in need of custom lanyards in San Diego for any purpose, we are here to help. Lanyards USA assists customers in and around San Diego obtain lanyards for a conference, special event, promotional giveaway, and numerous other purposes. Our simple, well-produced products promote the brand and secure the event at very little cost. Thanks to the wide range of fittings and clips available today, every company can create a lanyard that meets their requirements without spending a fortune to do so. Bulk printed lanyards in San Diego are the solution many organizations have been searching for, and we are here to help. There are a lot of lanyard options that Lanyards USA can supply and below we break it down do the 3 most popular styles which can also be customized if required. From simple one color print to vibrant photo images there is an option to suit. Provide the look companies are after without a high price. Individuals can see them clearly from a distance, which helps to promote the brand, and this also makes them the perfect solution for securing an event. 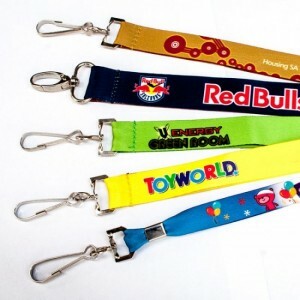 Companies choose to have these lanyards printed in one or multiple colors, and the design team can produce a sample for customer approval before production begins. This ensures the business is satisfied with the color combination when the final product is delivered. Another popular option, and it’s easy to see why. These lanyards feature a tight weave, allow for more complex screen printing, and fine details aren’t lost when this printing method is used. Contact us today for a free sample of this lanyard option. Be aware there may be charges based on the customer’s location. Full-color lanyards that can be printed with a variety of options. For example, a company may choose to have a photographic image included on the lanyard, and any Pantone color may be used. Our full graphic design team remains on call to help clients create the perfect item, as we wish to ensure the lanyard is truly unique and dynamic. If there are any questions as to which lanyard to select, don’t hesitate to contact us. We will be happy to walk you through the various options and make recommendations regarding the material, printing process, colors used, and more. Regardless of what type of event you are purchasing the lanyards for, we’ll help you create one you love and can’t wait to share with others. Our in-house graphics team works to produce the ideal design for each client. Thanks to our hundreds of materials and fitting options, every lanyard we create is unique. Whether a client is opting for a simple polyester lanyard or a deluxe satin applique one, we can make it happen. The client’s imagination is the only limit when designing this item, and we turn a person’s vision into a reality. Once the design has been finalized, the team produces a prototype for customer approval. Changes can be made until the item is exactly what the client desires. Customization and personalization are two ways clients can ensure the lanyards are perfect for their events. A client may choose to add a slogan, a message, or a logo, depending on what he or she feels will be best for their organization. In addition, when choosing lanyards in San Diego, the client determines the thickness of the lanyard material, the fittings, and more. A customer has the option of sending us a .png file, one which is used to print the design, or the design may be woven directly into the material. This process is known as jacquard weaving and is ideal for companies that wash their uniforms regularly or those who believe the lanyard will be subjected to hard use. People often overlook ways to make use of lanyards, but the ideas are endless. Purchase bulk lanyards for a school or daycare and have each child wear one on a field trip. Name badges can be placed in plastic card holders to identify each child, and the lanyards may be used year after year at very little cost. They are also perfect for family reunions where people may not recognize each other. The lanyard identifies they are part of the group, and the name badge provides additional information, such as their name and which part of the family they are connected to. Turnover is high at the majority of youth camps, with new students arriving every week or two. To easily identify the children, staff members can present each participant with a lanyard and name badge. If using it for this purpose, however, it is best to choose a breakaway lanyard. This helps to ensure a child does not get entangled while participating in camp activities. The same type of lanyard should be purchased any time it will be used with children. 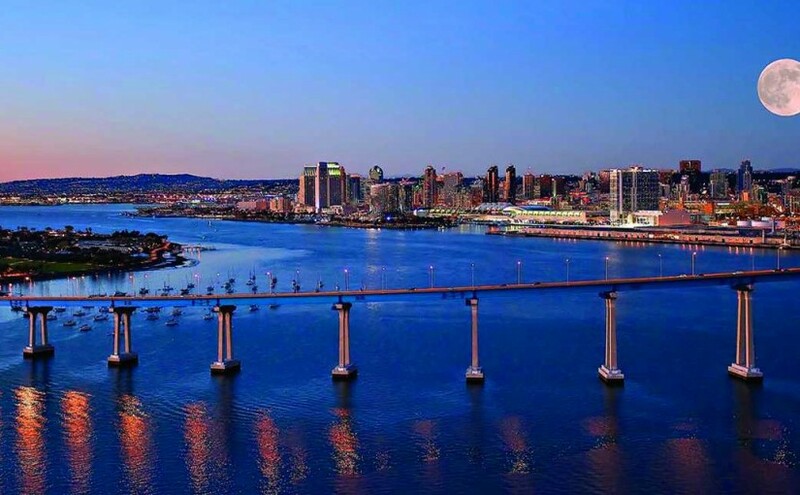 Anyone participating in sports or outdoor activities will also benefit from bulk-printed lanyards in San Diego. The lanyard may be used to hold a water bottle. This is of great importance during the summer months when hydration is critical for active individuals, and these are only a couple of the many ways lanyards may be used by recipients. Thanks to their versatility, every business should consider investing in these promotional items. If you are unsure of how you may make use of a lanyard within your organization, we can help. Our company offers information on how color can help a company outdo their competition, making the most of promotional items at events, and more. Our goal is to help you receive the best return on your investment when it comes to bulk printed lanyards in San Diego. Companies need to ensure the right lanyard is selected for their event. 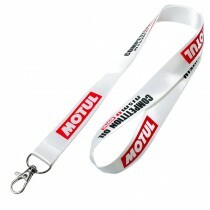 Quality is of great importance, as the lanyard represents the business everywhere it is worn. The right product boosts the company’s image, and lanyards are extremely versatile. They can be worn by employees, customers, and more, and they tend to get everyday use. This improves the company’s return on investment as more people see the product and learn about the company when they do. Furthermore, a business spends very little to get this advertising, as lanyards are budget friendly. 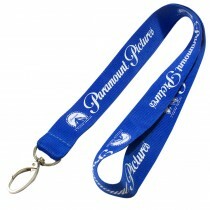 Contact us today to begin the process of ordering your bulk-printed lanyards in San Diego. We are ready to help any way we can.